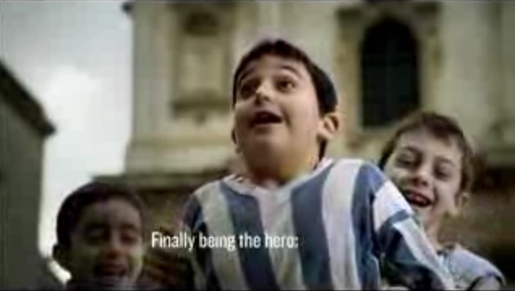 Mastercard‘s sponsorship of the UEFA Champions League was promoted in 2007 with a TV ad combining Italian street life with the game of soccer. The Crash Bang Wallop advert was developed at McCann-Erickson London by executive creative directors Brian Fraser and Simon Learman, creative directors Brian Cooper and Jason Stewart, art director Ben Brazier, copywriter Johnny Skinner and agency producer Nick Godden. Filming was shot by director Vince Squibb via Gorgeous Enterprises, London and Anonymous Content, LA.